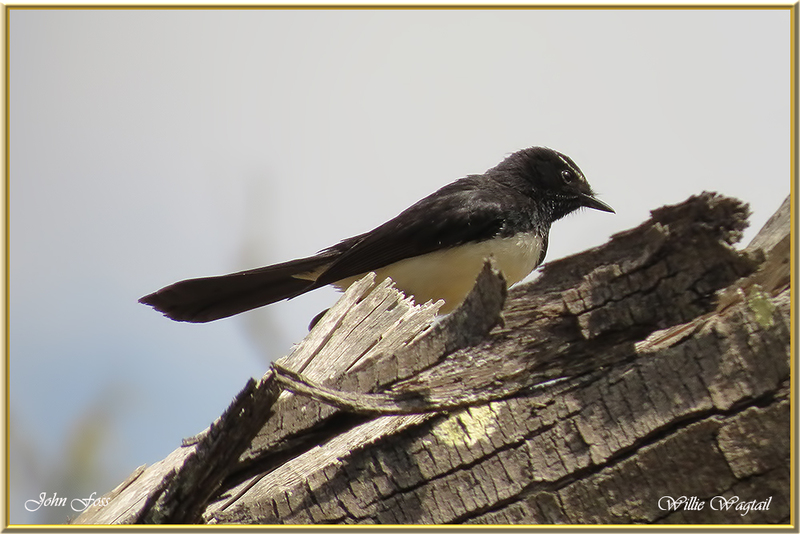 Willie Wagtail - found across most of Australia and New Guinea. 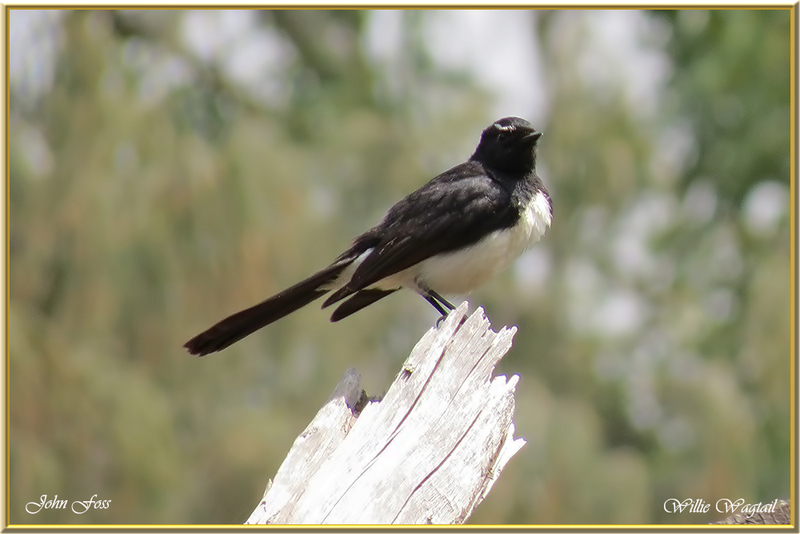 It prefers semi-open woodland or grassland often near water. 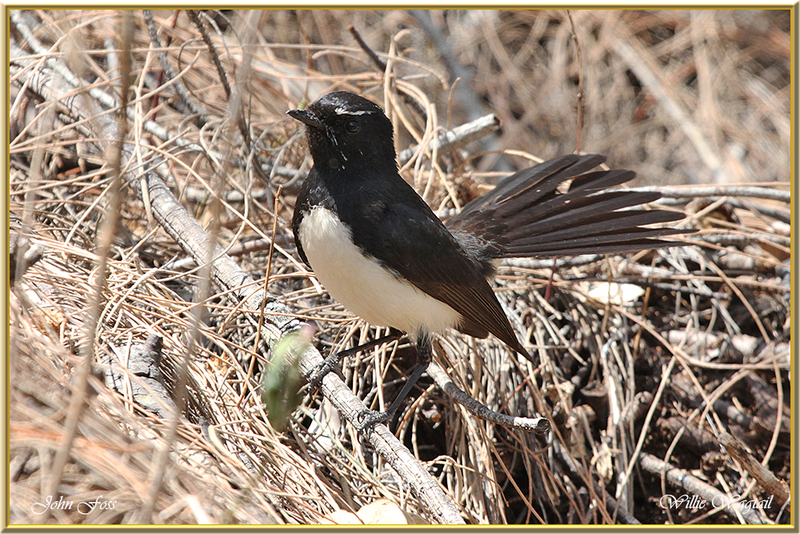 The bird's white eyebrows become flared and more prominent in an aggressive display. 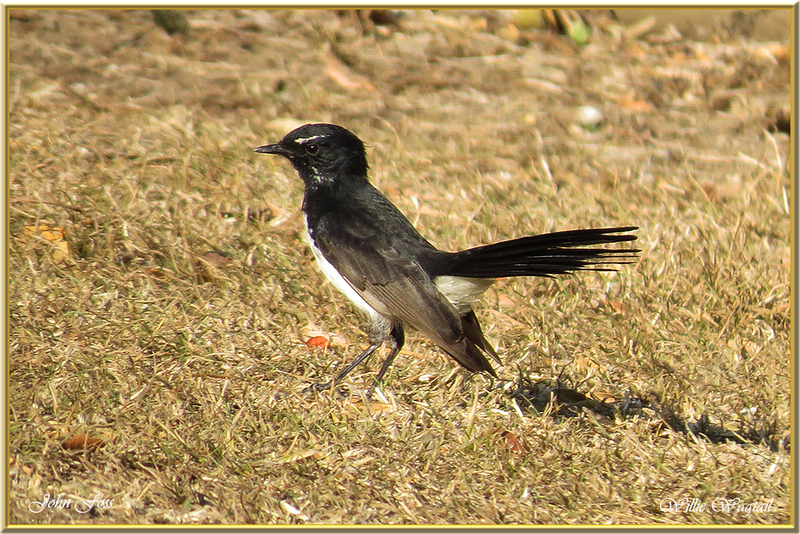 Mainly a ground feeder feeding on gnats, flies, and small moths, wagging the tail from side to side in the process. 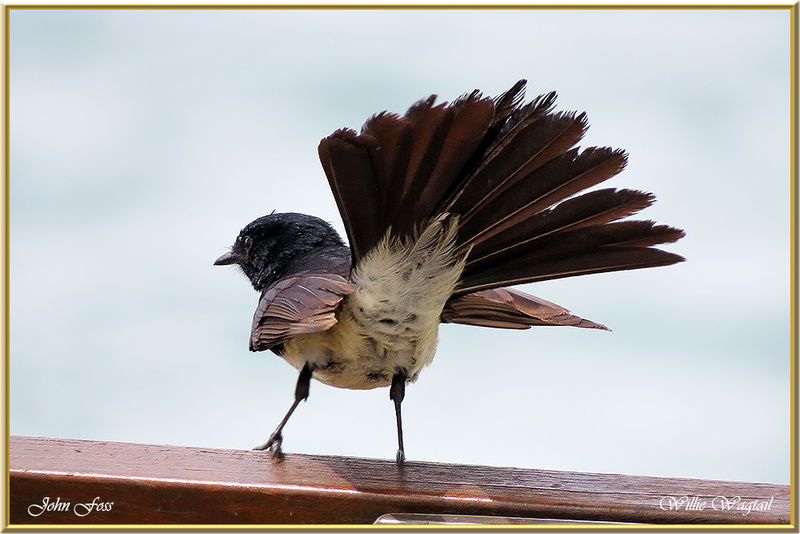 It is the largest, and most well-known, of the Australian fantails. Very tolerant and tame around humans. 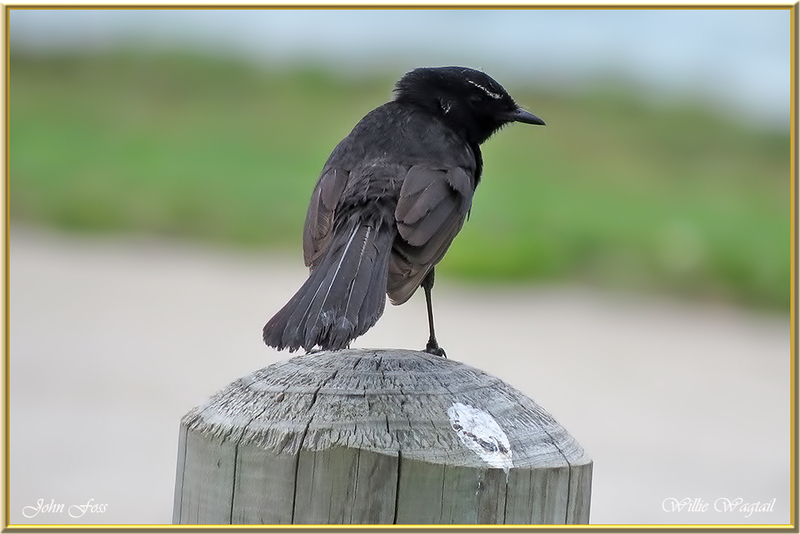 Photographed at Baldwin swamp in Bundaberg and Bagara coast. Queensland Australia.